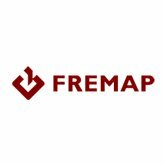 Fremap Prevention Society | Red Skios LTD.
Fremap Prevention Society (MAPFRE Group) had recently invested in a new ERP system (SAP) which came with another BI platform (SAP BW and SAP Business Objects). They had already spent a considerable amount of time on their primary BI portal (Cognos). They did not want to have two different BI portals for different reports but they had already developed the reports in Business Objects. We suggested and implemented integration between both portals where they were able to continue using Cognos as their primary BI portal which also listed SAP Business Objects reports. Like this their staff were able to continue using a BI portal they have experience with while leveraging their new BI portal. New Cognos reports were also created which supported drill through to SAP Business Object reports.